The Asian Conference on Education 2010 (ACE2010) was held from December 2-5, 2010 and was a great success. More than 400 participants from 37 countries around the world congregated in Osaka for the second conference on Education, in affiliation with the UK’s Birkbeck, University of London and Japan’s Waseda University. The conference was chaired by Professor Sue Jackson, Pro-Vice Master of Teaching and Learning at Birkbeck, and Professor Michiko Nakano, Director of the Distance Learning Center at Waseda. Both the Conference co-chairs gave keynote addresses related to Distance, Access and Lifelong Learning, one of the special themes of the conference, as did Vice Chancellor Mary Stuart of Lincoln University (UK). 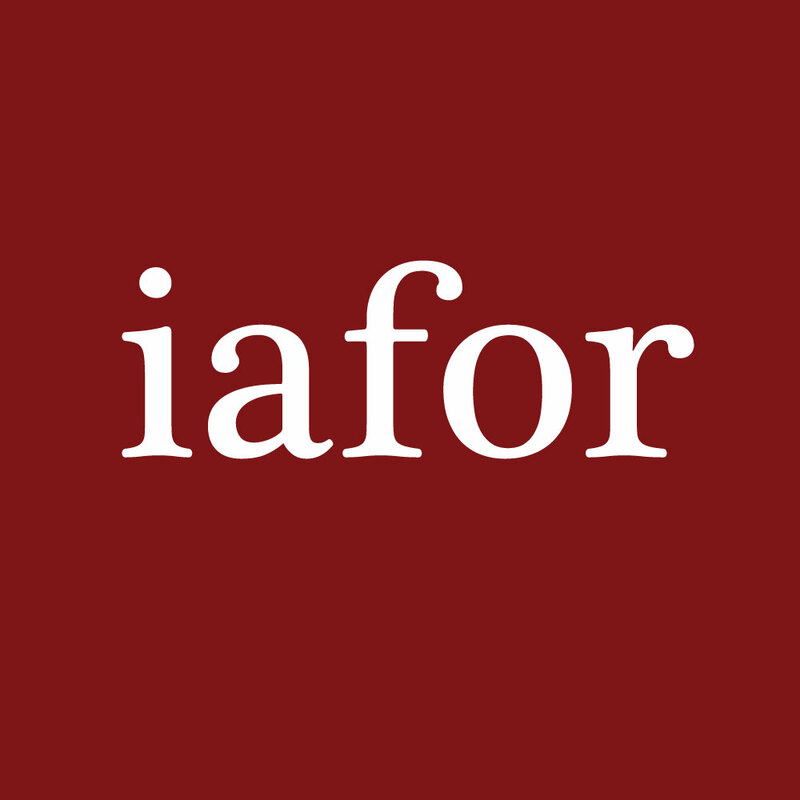 IAFOR aims to make internationalization in the university world a reality by encouraging academics throughout the world to forge partnerships across boundaries of subject discipline, creed and nationality. We were greatly encouraged to see the well-attended sessions challenge and inspire serious and challenging debate in a climate of mutual respect. We have every reason to hope that the conference will continue to grow in the future. We would like to thank the keynote speakers, the featured speakers, and each and every participant for making ACE2010 a success. We would also like to thank our global academic partners and affiliates for their role in the conference, and last, but not least, the small team of volunteers who staffed the event. Welcome to the Second Annual Asian Conference on Education, which I am delighted to Co‐Chair with Professor Michiko Nakano. I had the pleasure of being at the inaugural conference of ACE last year and I am very much looking forward to being at this year’s conference and to meeting as many delegates as possible. The aim of ACE2010 is to encourage academics and scholars to meet and exchange ideas and views in a forum encouraging respectful dialogue. What I particularly appreciated at the inaugural conference last year was the shared development of intellectual ideas and the challenges to dominant paradigms that occurred through the academic exchanges of the conference. I have every confidence that this year’s conference will extend and develop this work still further. The conference theme, "Internationalization or Globalization?" is an important one to education and is no doubt in part the reason that this conference has attracted so many delegates from across the globe. As education systems becoming increasingly socially, ethnically and culturally diverse, both as a consequence of globalization and in response to internationalization, the challenges of engaging with this theme become ever more important. However, the international and the global are often conflated, with meanings which can become blurred. This can lead not just to misunderstandings, but to some political and ideological discourses becoming dominant whilst others remain marginalised. However, engagement with these themes also bodes well for the pursuit of new knowledges and understandings. The programme for this conference promises to be an exciting one, with thematic themes that address the central aim of the conference in different but complementary ways, including through papers that draw on empirical research, that develop theoretical and conceptual insights, and that engage with pedagogy, experiential and lifelong learning. The conference will be enhanced through its wide variety of presenters, who will draw on their diverse experiences and knowledges and on their academic, personal and geographical contexts, in a programme that promises exciting and challenging discussion. I strongly encourage your active engagement with this conference, and very much look forward to meeting you and to continuing the work of ACE into the future. I am delighted and excited to co‐chair ACE2010 with Professor Sue Jackson of Birkbeck, University of London. Our conference theme is “Globalization or Internationalization?”. It is a highly timely theme. Globalization and internationalization have become familiar phenomena, having an impact in various ways on all of us. Yet, in the area of education, these phenomena have not been taken up seriously or discussed in depth. Here is the arena for all of us to open up our mind and to exchange views on our future pedagogy to equally beneficial all of our students in Asia, and beyond. This is the age of dialog. We have not fully understood how, and to what extent Open Policy in Education and professional mobility in Asia, and throughout the world will affect us. Let us discuss our challenges and solutions, however tentative they might be. It is hoped that ACE2010 can offer a thorough theoretical grounding and a large number of practical solutions to our problems. ACE2010 can and will identify key elements and their relationships, since we have so many delegates from all over the world. The conference has been well planned, and is full of interesting oral presentations and thought‐provoking symposiums. We hope you all enjoy ACE2010 and find many new ideas to take home with you. I am very much looking forward to seeing you all in person. Keynote Presentation (2010): "Lifelong Learning in a Globalized World: Politics, Power and Pedagogic Practices"
Professor Jackson is Professor of Lifelong Learning & Gender and Pro‐Vice‐Master for Learning & Teaching at Birkbeck University of London, where she is also Director of Birkbeck Institute for Lifelong Learning. Sue began her academic journey as a mature student studying with the Open University and particularly values her work at Birkbeck with mature students studying part‐time. Sue’s research focuses on the intersections of multiple learner identities, including gender, age and social class. Her recent books include Reconceptualising Lifelong Learning: feminist perspectives (Routledge, 2007, with Penny Burke), Innovations in Lifelong Learning: critical perspectives on diversity, participation and vocational learning (Routledge, 2010) and Gendered choices: Learning, Work, Identities in Lifelong Learning (Springer, 2011, with Irene Malcolm and Kate Thomas). Keynote Presentation (2010): "Social Mobility and Higher Education – The significance of after class activities and their impact on graduate outcomes"
Professor Stuart joined the University of Lincoln in November, 2009 as Vice Chancellor (University President). She is a graduate of the University of Cape Town and the Open University where she obtained her Doctorate in Social Policy in 1998. Her research interests are focused on life histories, social mobility, higher education students and community development. Prior to working in Universities, she established and ran a community theatre in the 1980s in South London. Mary has a strong track record in all aspects of University management having been Deputy Vice Chancellor at Kingston University for 4 years and a Pro Vice Chancellor at the University of Sussex between 2000 and 2005. She is currently a member of HEFCE’s Teaching Quality and Student Experience strategic committee, a member of the Public Information in Higher Education Steering Group, Chair of the Action on Access Advisory Committee and is Chair designate of the Universities Association of Lifelong Learning. Keynote Presentation (2010): "Internationalization or Globalization in Asia: Issues in English Language Education"
Michiko Nakano is a Full Professor in the School of Education at Waseda University in Tokyo. She is currently Director of the Digital Campus Promotion Office, Director of the Distance Learning Center, and Director of Cross‐Cultural Distance Learning. A former Deputy Dean of Student Affairs, School of Education at Waseda University and a former Chairman of the Department of English Language and Literature. Dr Nakano’s research concentrates on the practical applications of Computer Technology as it relates to Language Teaching and Assessment. She is the co‐founder of the Pan‐Pacific Association of Applied Linguistics (PAAL), and co‐editor‐in‐chief of its journal, and a former secretary general of the Japan Association of College English Teachers (JACET). Dr Nakano has edited and published more than 220 papers and books. Featured Presentation (2010): "Encouraging Student's Self Discovery by Touching Education"
Ken K. Soetanto is a full professor in the School of International Liberal Studies (SILS) and a former Dean of the International Affairs Division of Waseda University, where he is also Director of the Clinical Education and Science Research Institute (CLEDSI). Since 2005 he has also been a professor at Venice International University, Italy. He has previously held faculty positions in the USA at both Drexel University and in the School of Medicine at Thomas Jefferson University. Professor Soetanto is a noted polymath who holds four doctorates in separate disciplines (Engineering, Medicine, Pharmaceutical Science and Education), and whose research draws on this interdisciplinary background to unique complementary effect. He is published widely in a number of fields, most particularly educational psychology, pedagogy, motivational mechanisms, medicine, as well as biomedical engineering. His unique and highly motivational style of lecturing has been widely documented in Japan and further afield as the ‘Soetanto method’. Professor Soetanto is a fellow of the Acoustic Society of America, The American Institute of Ultrasound in Medicine, and the Japan Society of Ultrasonic Medicine, as well as a senior member of the IEEE, and has served as a government adviser to the Japanese Ministry of Economy, Trade and Industry, and as a member of the Japanese Government’s “Vision of 21st Century” initiative. Featured Presentation (2010): "How Globalization Drives the Higher Education Policy of the State"
Professor Chiang is Chair of the Department of Education at the National University of Tainan, Taiwan. A noted scholar of Education, widely published in the field of Education, Dr Chiang is also Secretary‐General of the Taiwan Association of Sociology of Education, Director of the Chinese Comparative Education Society, and the Taipei Editor‐in‐Chief of the renowned Journal of Comparative Education. Professor Chiang is also a founding member of the IAFOR International Advisory Board. Keynote Presentation (2010) | "Lifelong Learning in a Globalized World: Politics, Power and Pedagogic Practices"
Keynote Presentation (2010) | "Social Mobility and Higher Education – The significance of after class activities and their impact on graduate outcomes"